Options are undoubtedly the most complicated instruments in financial markets. But they are most lucrative too. You can build your fortune trading options with very little margin amount, also you can use options as a source of fixed monthly income. But it involves lot of risk and discipline to trade options. It takes years to master Option strategies. We have complied some of the best online Options Trading Courses available online. You have to pay a minimal subscription to access these course, but definitely all these courses are worth for their price tags. SECTION II – Put Options. 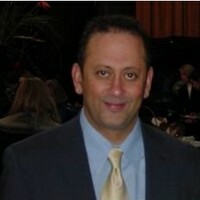 Multiple experts in Futures and Options segment including a 26 years experienced veteran trader. Over 30 hours of video education covering non-directional options trading, Iron Condors, Credit Spreads and Calendar Spreads, plus the Greeks and portfolio building. Content is organized into 56 videos with detailed audio commentary leaving nothing out. This is our most recommended Options trading courses available online. It allows you to learn at your own pace, which is a big value addition as compared to classroom coaching. This is your chance to learn from an experienced 26 year veteran trader, with over 30 hours of video content, plus special PDF reports and spreadsheets, this training is much more than equivalent to a full week of seminar training… but at a fraction of the price!, plus can be watched over and over again. Check out the complete description of this course here. 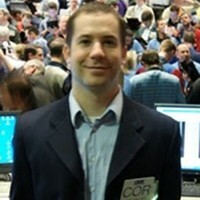 Corey Halliday began trading the global markets in 2001 and actively trades equities, futures, forex, options, and index options. As the Chief Market Analyst for a publicly-traded company, he provides multiple trade strategies and leadership for his team of professionals consistently achieving returns that outperform the broad markets. Trading options without an understanding of the greeks would be like trying to fly a plane without the ability to read instruments. Unfortunately, many traders have never heard of the greeks and yet they jump into options. This puts them at risk later, much like a pilot would experience flying in bad weather without the benefit of instruments. This class is designed to teach you how to trade options correctly. After learning about Delta, Gamma, Theta & Vega, you will be able to put on great trades. You will be able to easily adjust trades that are not working as expected (option repairs). You will be able to understand whether staying in the trade is good or bad based on the time decay (theta) experienced daily. What could be better than learning how to avoid losses and maximize profits? These are the 3 best Options Trading Courses we have reviewed so far. These video courses are designed to help you understand options step by step instead of massive information overload. You may find similar videos in youtube free of cost but they are not structured and hence would not help you in long run. So its better to take these courses by paying a small fee. Let us know you feedback once you complete these courses. Yes, that’s an impressive course. I have enrolled too few days back.